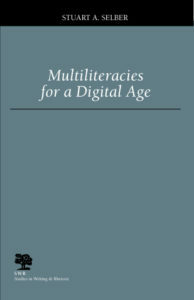 Ever since I looked at the review of Stuart Selber’s Multiliteracies for a Digital Age in Composition Forum 14.2 (Courtesy of a tip from Bradley Dilger), I have been reflecting on my notes about M. A. K. Halliday’s literacy engagements. I have a pile of old notes on how I thought Halliday might be used to understand technology engagement from my time at ReadWriteThink when the site used Halliday to structure the site. Halliday’s literacy engagement system (learning language, learning about language, learning through language) parallels Selber’s. There are nuances that would need worked out, but generally I think I could argue that literacy learning follows the same kinds of meaning making, even when the kinds of literacy are different. I’m just not sure that matters as an observation. What does that knowledge really bring to the conversations and scholarship on literacy? Hi, I’m Traci Gardner, known in most circles as Tengrrl. I’ve been exploring and writing about the best ways to teach composition using digital technology for over 20 years. You may have come here because you’re looking for my Lists of Ten or because you know my work on the ReadWriteThink website. You can also find my daily collection of links to news stories about technology and the teaching of writing, literacy, and literature. You can read more on my About page, or connect with me on one of the networks below. Thanks for visiting the site. If you like what I write, can you help keep me caffeinated so I can do more? I'll take a nice mocha or maybe a Diet Dr Pepper. Thank you! © 1997–2016 Traci Gardner. All rights reserved.